ONLY MICHIGAN RESIDENTS SHOULD SIGN THIS PETITION. 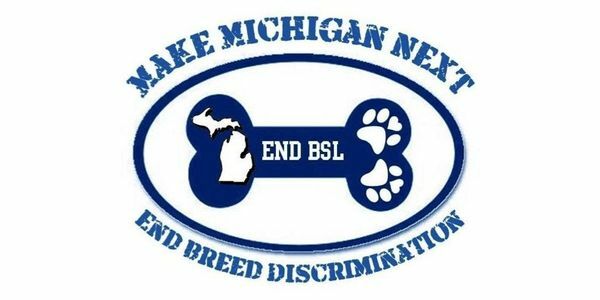 MICHIGAN VOTERS: Breed discrimination legislation (BDL/BSL) is a law that bans or restricts ownership of certain types of dogs based on their appearance. BDL applies only to owners of dogs of a certain appearance, not to all owners of all dogs. It does not take into account how the owner has raised, trained or manages the dog. It does not take into account the dog's actual behavior. BDL restricts the rights of pet owners to own a family dog of their choice and it can apply to any breed of dog. MAKE MICHIGAN NEXT is a campaign to pass a state law banning BDL and to prohibit the enforcement of current BDL. YES! I want to Make Michigan Next to ban BDL and to protect the rights of property owners.